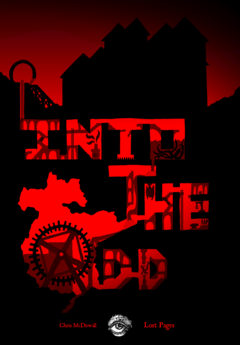 So, the actual game of Into the Odd is in a state that I'm happy to call final, barring one last edit for typos and grammar. - Transfer everything from the crappy pdf I made in openoffice into a proper pdf, with nice layout and some custom art in amongst the free stuff. Probably B&W for printing ease. - Release the game as Pay What You Like. - Use any money that comes in from generous folks to pay people to help me with future projects. - A Cover. I love the piece that current sits at the front of the doc, and it's public domain, but I'd really like to see it given a new impression. Think you can make this awesome while keeping the eerie atmosphere? - A Logo. While I like the one that I threw together, someone can do a better job around the same concept. - A Proper Layout. Nothing fancy, but something that looks more professional than my own efforts. - Art. Again, I like the public domain pieces I have, but bespoke Into the Odd artwork would be the dream. If you've seen the stuff I post on here for the game, you'll get a sense of what I'm looking for. Similarly, I like the maps I've made, but somebody could probably give them a little more character. - Proofreading. Huge thanks to +Geordie Racer for doing this already, but the more eyes the better. - I can give out credit like it's going out of style! - If you're in the UK you can come to my house for a free beer/wine/spirit. - The vague promise below. I have no budget for this. If you'd like to be involved, and I really love what you're offering, I'll see if I can get some funds to pay your rate. Anything that comes in from the Pay What You Like release goes straight into the pot for my next project, and you'll be the first people I come to for paid work. Your one-hitpoint Fighter meets an unglamorous death thirty minutes into the game. You shrug and roll up a new character, who comes out with six hitpoints and STR 17. What kind of karma is that for throwing a life away? Enter the Karmic Quirk table. After rolling a replacement character, roll once on this table for every character you have previously lost in this campaign. So if you've had two characters die already, you roll twice on here. For duplicates take the next entry down the table, looping up at 20. 1 - Ugly: Really, really ugly. Nobody wants to look at you any longer than necessary, but they always remember your weird face. 2 - Poverty: Start with only rags and a stick. 3 - Plague: Start with the Plague. Lose 1 CON each day until treated. Anyone close to you must pass a Save each day or become infected. 4 - Lice: You itch with lice. Anyone living closely with you must pass a Save each day or catch them too. 5 - Fish-Tongue: You speak in a slobbery drone that people find either annoying or amusing. 6 - Pig-Eye: You have tiny eyes and are likely to miss visual clues obvious to everyone else. 7 - Missing Limb: Roll 1d6 - 1-3: Arm, 4-6: Leg. 8 - Dumb: Reduce INT to 3. 9 - Unholy: Any sort of divine blessing has the opposite effect on you. 10 - Severe Allergy: If exposed to your allergen you must Save or Die. Roll 1d6 - 1: Alcohol, 2: Nuts, 3: Insect Stings, 4: Shellfish, 5: Antidote, 6: Dairy Products. 11 - Stalker: You have an obsessive follower that makes your life a pain. Roll 1d6 - 1: Mother, 2: Father, 3: Childhood Friend, 4-5: Ex Lover, 6: Ex-Lover who is also a Wizard. 12 - Fussy: There's a 50% chance that any meal served to you isn't to your liking. Unless you get a meal you enjoy you recover HP at half the normal rate. 13 - Deluded: The GM rolls another Quirk in secret. You're completely unaware of it. 14 - Super-Illiterate: You can't read, and attempting to read causes you 1d6 damage. 15 - Blind Confidence: The GM rerolls your HP in secret. You never know how many HP you have. 16 - Debt: You owe some a number of GP equal to 1 with 1d6 zeros on the end. 17 - Addict: Lose 1 maximum HP each day you don't indulge, to a minimum of 1hp. A binge restores all hp lost this way. Roll 1d6 - 1-2: Alcohol, 3-4: Tobacco, 5: Opiates, 6: Dream Fungus. 18 - Phobic: Subtract 1 from all rolls in the presence of your phobia. Subtract 5 when interacting directly with it. Roll 1d6: 1: Bugs, 2: Lizards/Snakes, 3: Magical Things, 4: Darkness, 5: Blood, 6: Heights. 19 - Uncool: You're such a dork. You'll never, ever be cool. 20 - Bad Name: The GM decides on your name, and it has to be really embarrassing. The other characters all know your real name, so you can't just go by a nickname.